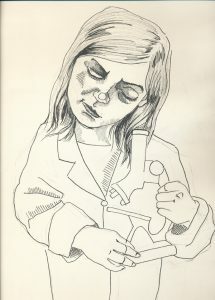 The Matthews-Fuller Health Sciences Library is proud to host a new exhibit of drawings by Geisel Medical Student, Erin D’Agostino. This exhibit will be on display until August 31, 2017. 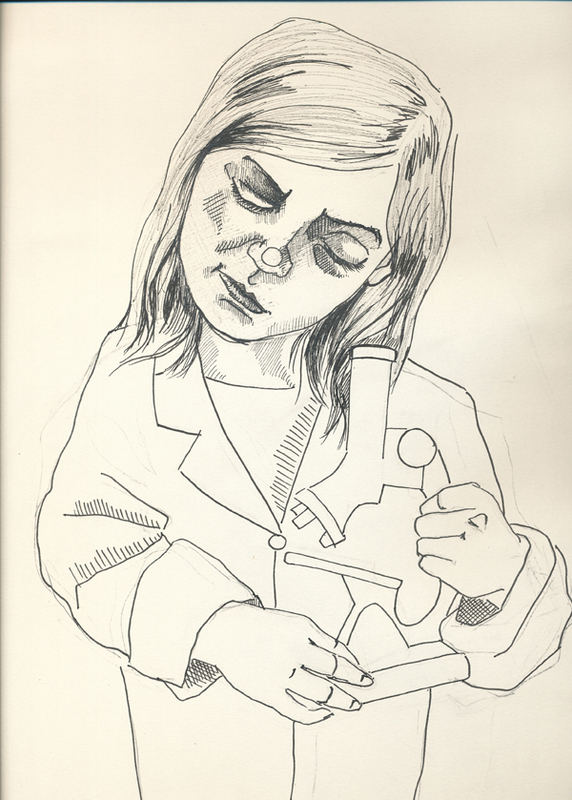 Erin D’Agostino is currently a third year medical student at the Geisel School of Medicine at Dartmouth. Erin’s art training started formally in high school, with primary emphasis on Life Drawing. She majored in Visual Arts and Neuroscience at Bowdoin College and completed an honor’s project that focused on the overlap between the two fields. She then taught high school students with learning disabilities prior to applying to medical school. The “feMINIsts” gallery is intended to celebrate the right of little girls everywhere to pursue the future career of their choice, whether that future career is as a Botanist or as a Rock Climber or as a Princess Activist. The proceeds from any work sold in the gallery will be donated to the project “Goodnight Stories for Rebel Girls,” which is a series of stories that reinvents fairy tales to inspire little girls to dream big. This entry was posted in Art Work, Exhibits, News Item. Bookmark the permalink.